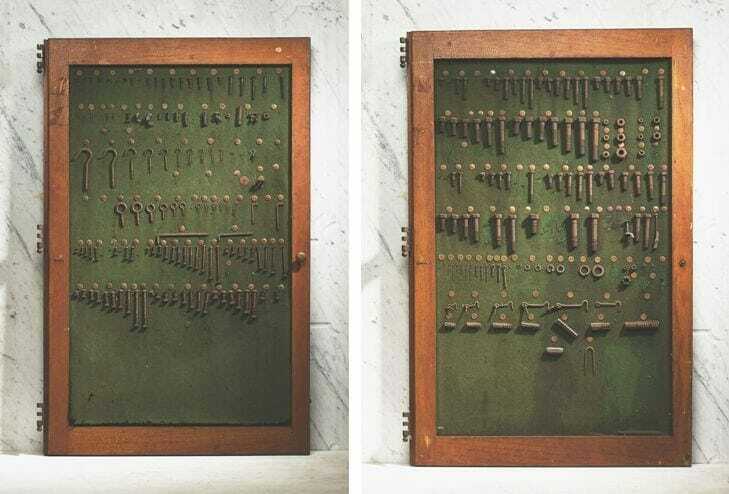 Vintage hardware display. 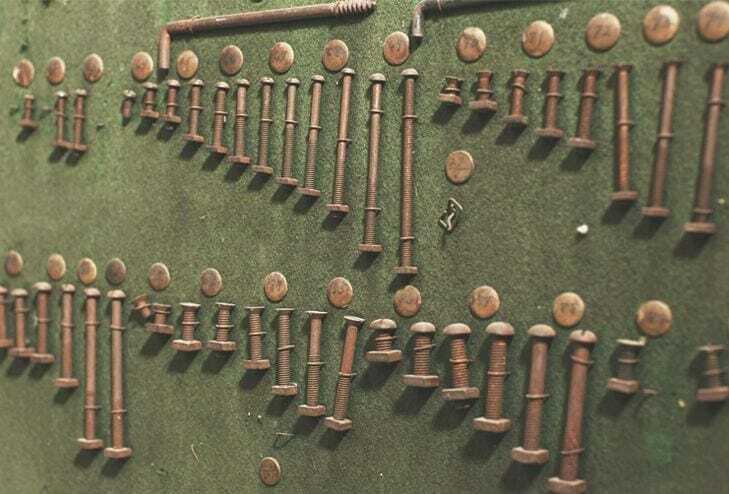 An assortment of screws, bolts, and hooks hang on each door. From Youngstown, Ohio in the 20th century.